On the day of Baroness Thatcher’s funeral, I remember her by remembering my favourite image of her. 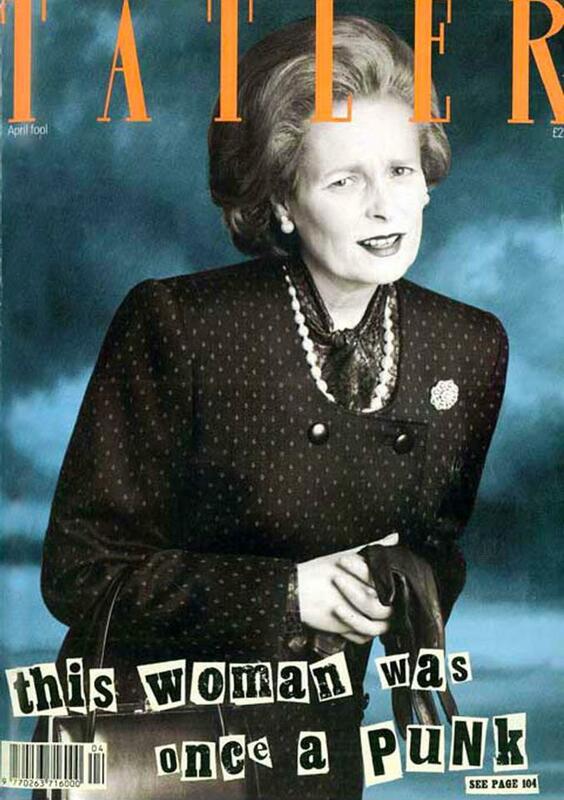 Well, not her exactly, but designer Vivienne Westwood impersonating the then British Prime Minister on the cover of Tatler in April 1989. It reminds me of the days when women’s magazines bravely celebrated ideas as well as celebrities. How seamless it seemed – and was it really 25 years ago? – turning a left wing punk into the right wing icon. The editor was sacked a few days later but she had made her point. For me this image was a reminder that fashion and politics seemed to play the same game.